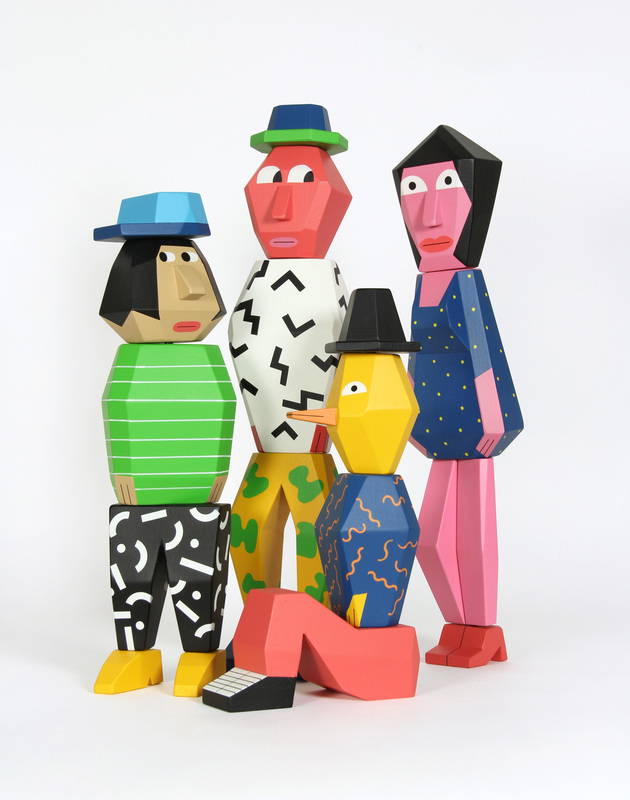 Four unique wooden characters entirely made and painted by hand. 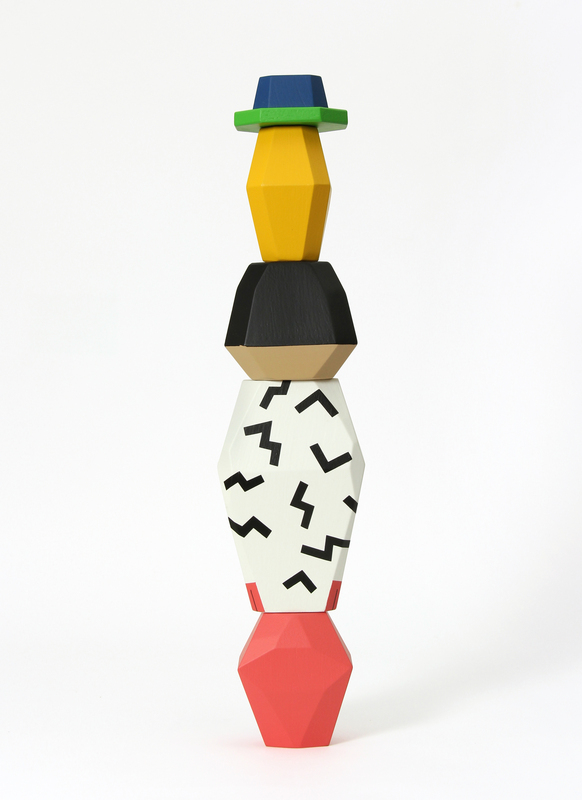 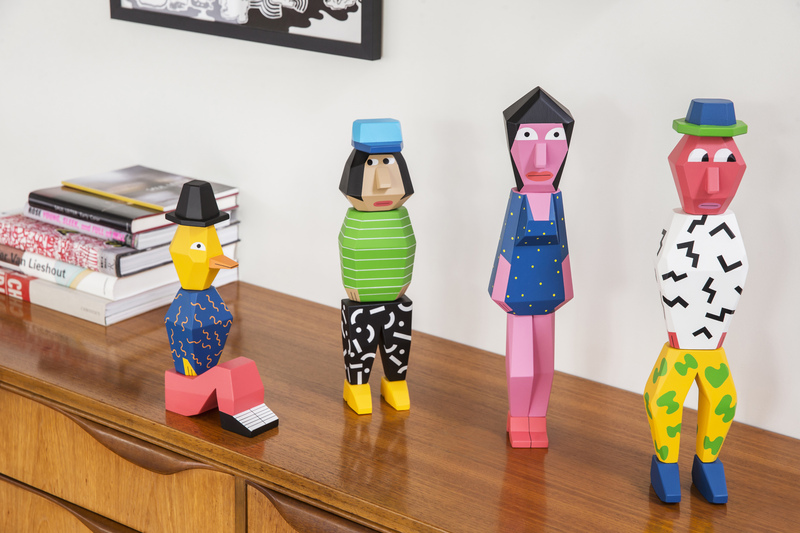 The individual pieces are interchangeable, allowing them to be re-assembled and stacked to create custom characters or abstract sculptures. 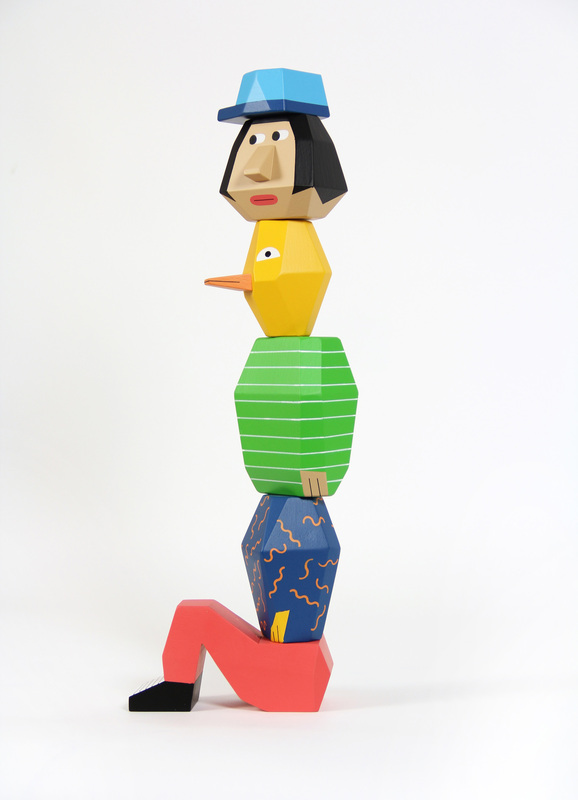 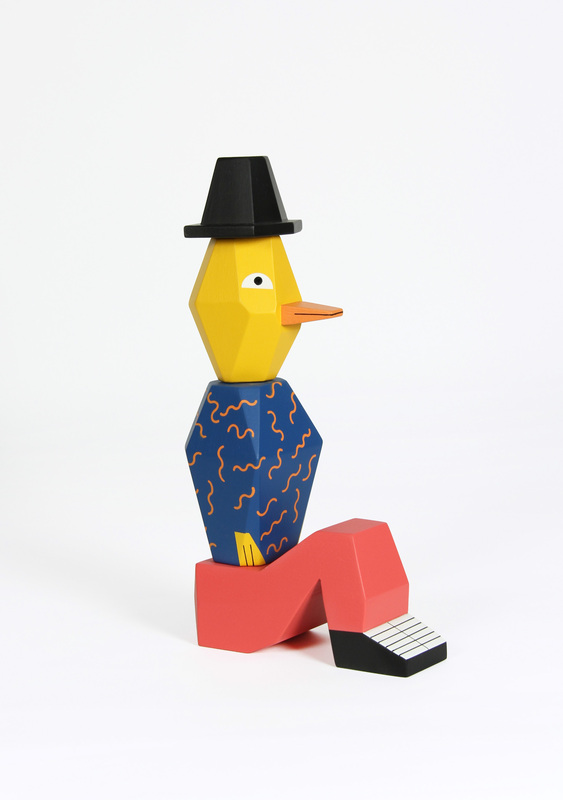 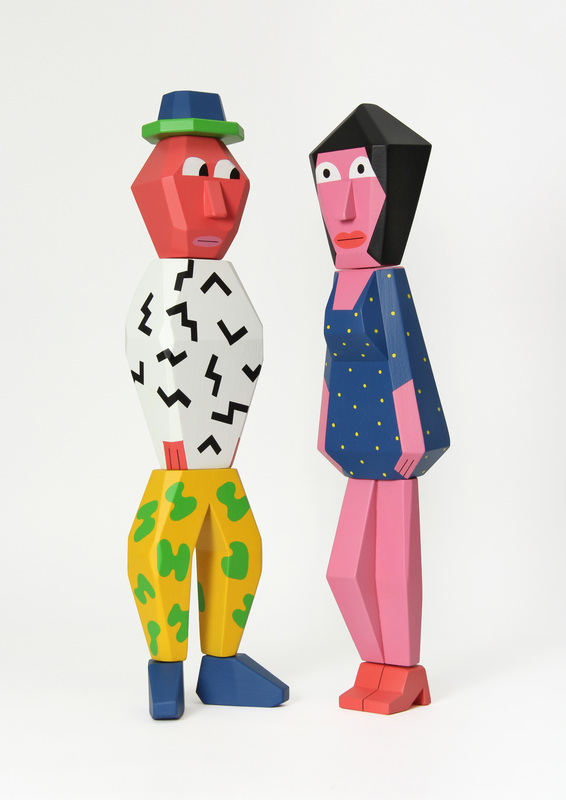 The series captures the spirit of Rementer’s work, high key color, bold decorative pattern and oddly pensive characters which interact in unexpected and often humorous ways with the surroundings in which they are arranged. 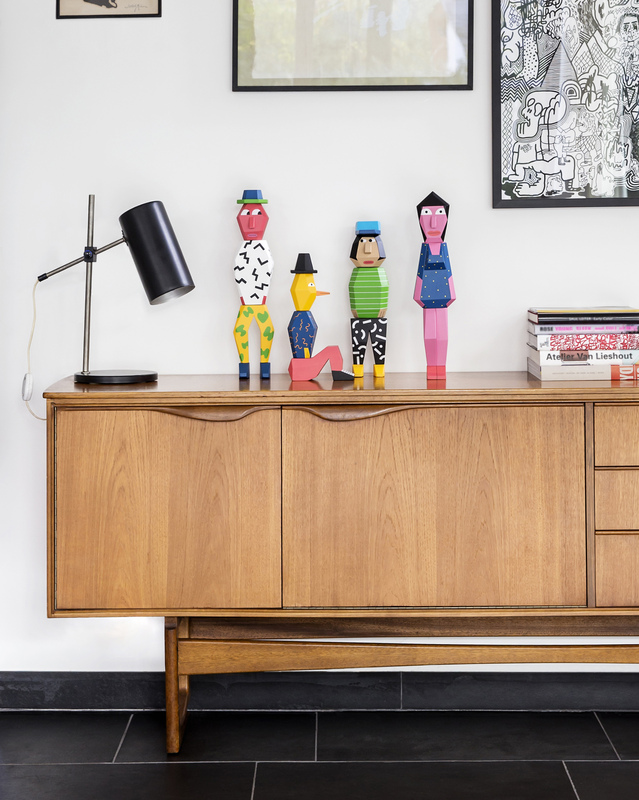 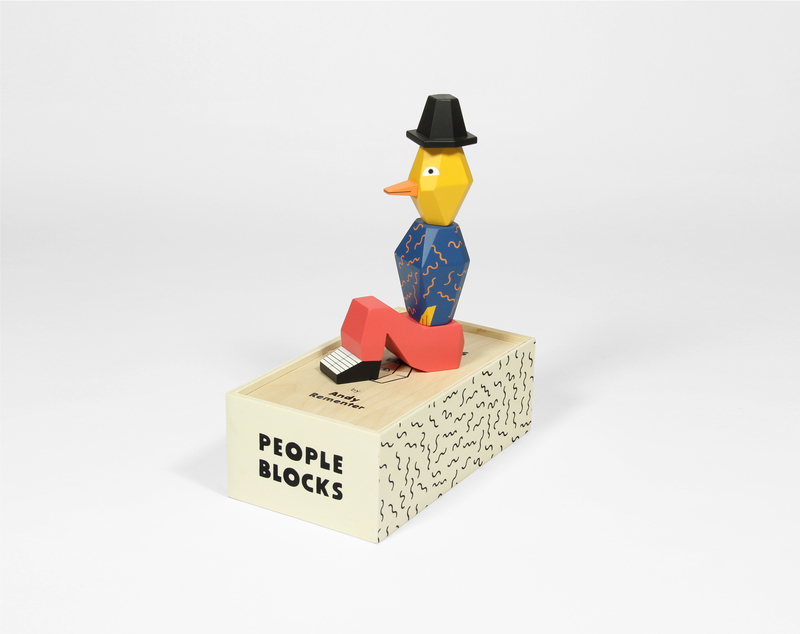 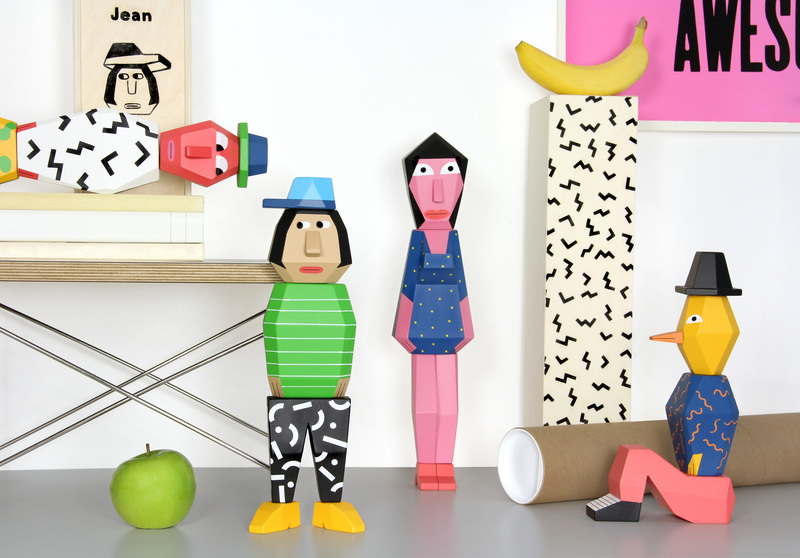 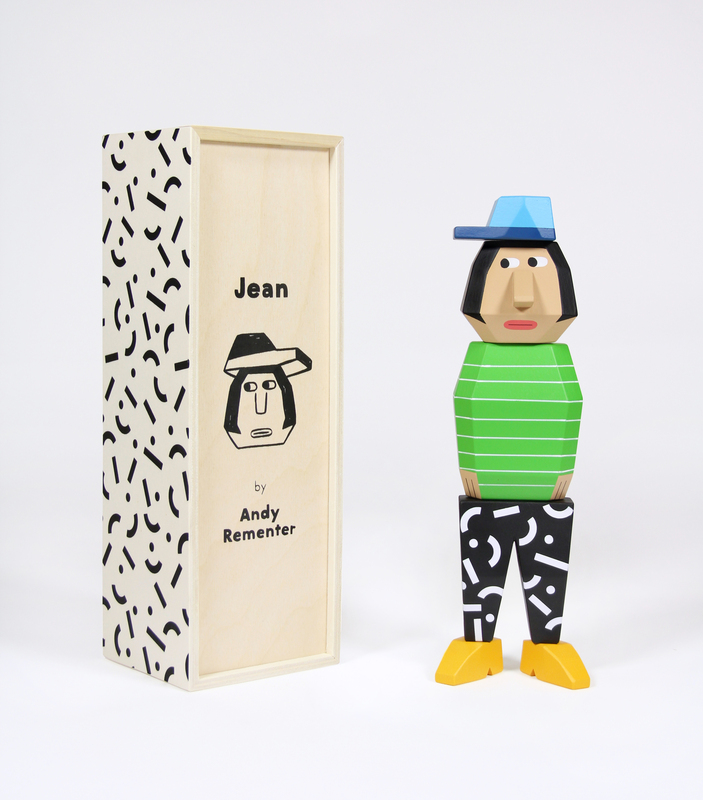 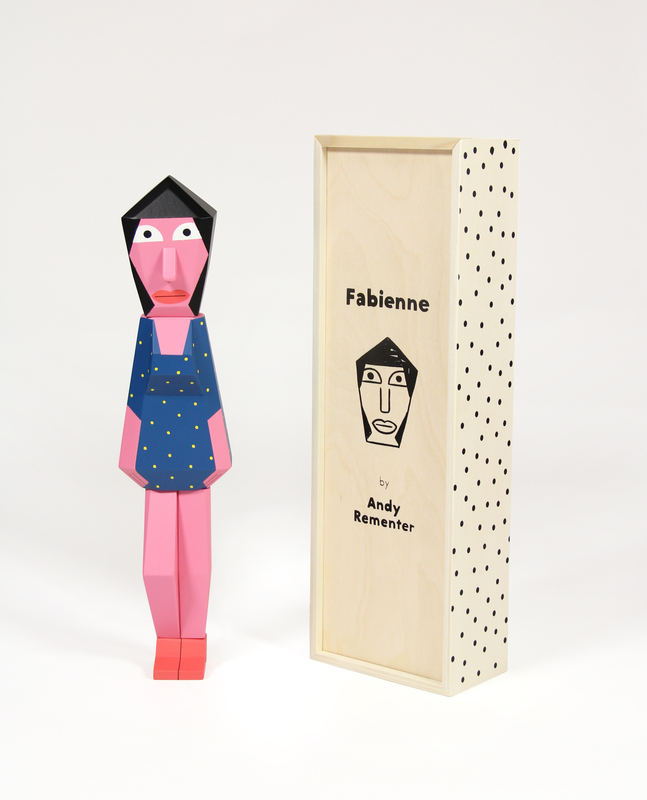 The characters: Antoine, Fabienne, Jean and François are sold individually and packaged in a screen printed wooden box. 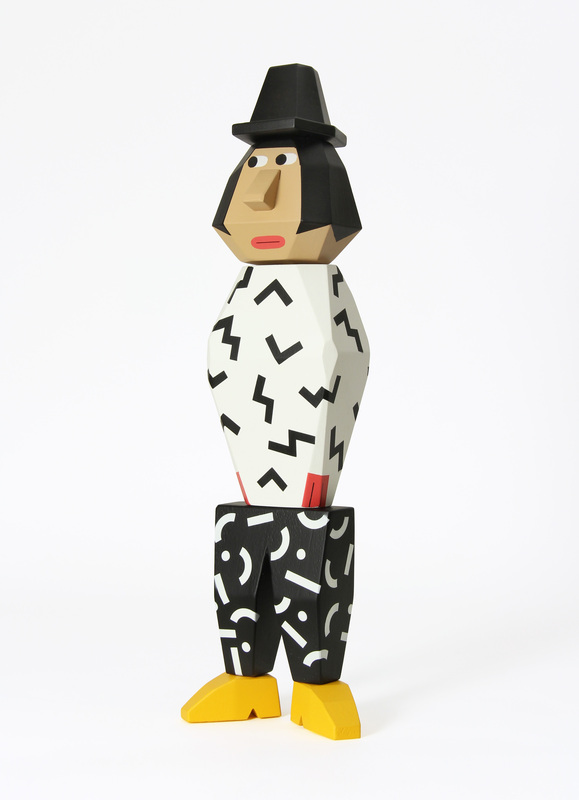 Each sculpture comes with a certificate of authenticity signed and numbered by the artist. 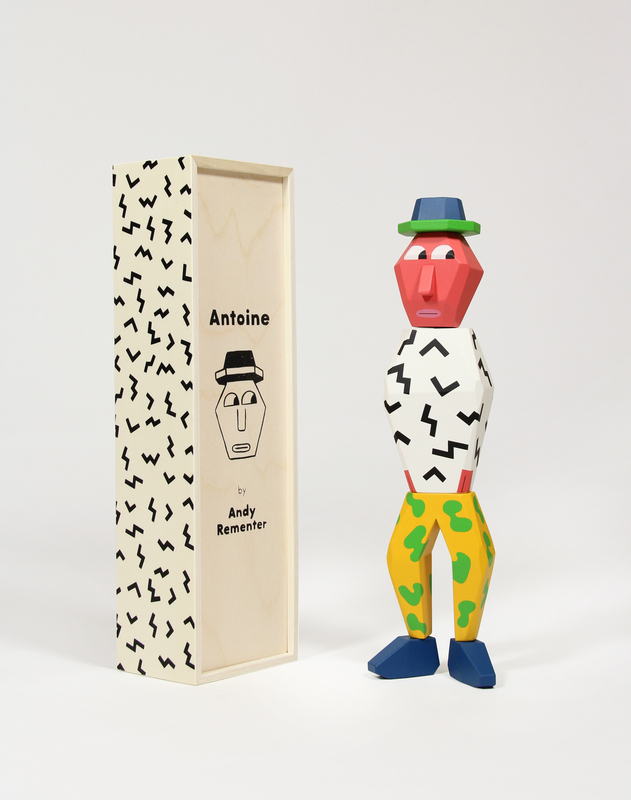 Edition of 12. 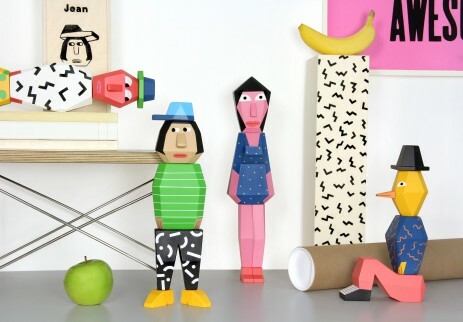 Characters measure between 30 and 40 cm in height.